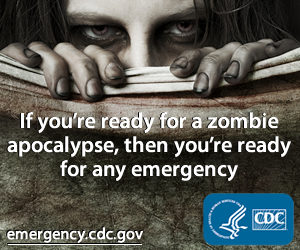 You were so busy being worried about zombies or the Four Horsemen of the Apocalypse you forgot to look to the sky. That error will cost you, for tonight is the night of the Sharknado! Airing tonight on Syfy at 9 p.m., a perfect storm of aquatic chomping action hits in the form of a great white-sized monster movie starring Tara Reid, Ian Ziering and John Heard -- and from The Asylum, the same production house that gave us 2 Headed Shark Attack and Mega Shark vs. Giant Octopus. 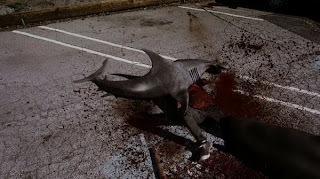 The "plot" of Sharknado revolves around local beachside bar owner, Fin (Ian Ziering) along with bartender Nova (Casie Scerbo) and bar regular/town drunk (John Heard), who join forces with April (Tara Reid), Fin's ex, to uncover the dangerous mystery that has vicious, man-eating sharks tearing through the Los Angeles streets and raining from the skies. That's right: Friggin' sharks falling from the friggin' skies. If that's not enough to get you to tune in, then you have no pulse (or maybe you just have a fear of flying man-eating fish).